The 5mm diameter of this mushroom cane will make perfect sizes slices to garnish your miniature salads, sandwhiches, and even pizza! Average diameter when sliced can range from 4-6mm. (3/16 inch). Overall cane length is approximately 2 inches (50mm). This is an uncut baked flexible cane. Very cute And as pictured. 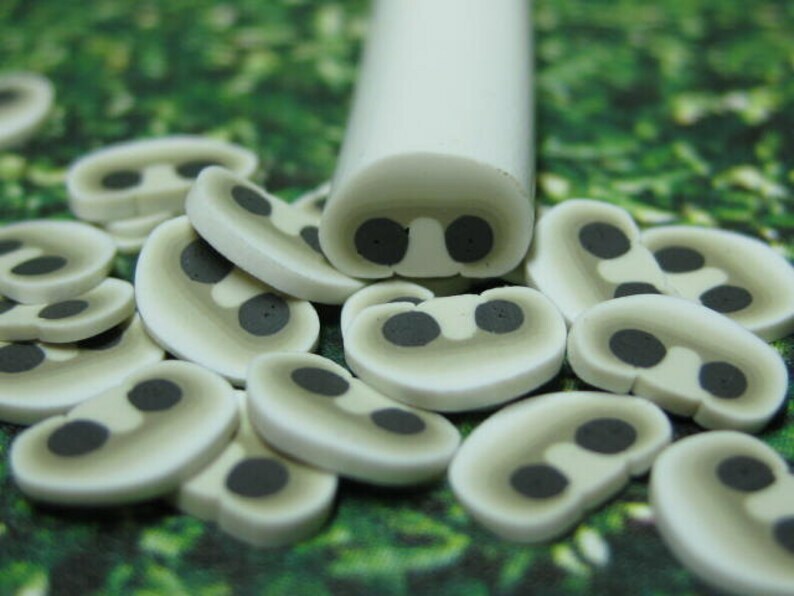 I’ve never seen mushroom polymer canes before !! Great Item. it's so realistic.